I was recently accepted into Target Margin Theater’s (TMT) Institute for Collaborative Theater Making, where artists are invited to challenge themselves, their practices, and engage in questioning and experimentation. Activities include intensives, focused experimentation, adventures, and breakfasts. I was so thrilled just to get the interview; I don’t have a theater background so I thought my chances of becoming a fellow were low. What appealed to me is the way the Institute seems to balance structure with artistic freedom and experimentation. There is no end goal or specific project to work towards. In both the application guidelines and in the interview, it was emphasized that we would need to set aside whatever we are working on for one big question mark; the Institute would be a place not to launch and execute projects, but to embrace the unknown. The Fellowship is already such a gift in and of itself, and beyond that TMT gives each fellow a $1,000 stipend as well as space. I am beyond excited to take part in this, as I believe this is exactly what I need right now. I have been building my music ensemble, The Nouveau Classical Project, over the past seven years. Aside from working on the creative side of it, i.e., curating, performing, directing, there is an enormous amount of unsexy work that goes on behind the scenes to execute projects and maintain the organization: fundraising, marketing, operations (one of my least favorite words…what are we, a hotdog factory? ), making face time at events, coffee meetings, etc. More often than not I’m going at breakneck speed, mostly driven by ambition, but also by necessity. I work hard to make sure things get done, are well done, and people get paid, which doesn’t always allow me a lot of time to let ideas germinate or reflect on what matters to me as an artist. I have no regrets, though; having the discipline to balance all of this with a consistent practice schedule has taught me how to manage my time and allowed me to build something that’s still going strong. Speaking of time, there’s a time and place for everything. This may not have been the right thing for me ten years ago, or perhaps I would not have understood its importance to my artistic growth and creative practice (I had piano tunnel vision; the only thing “practice” could mean to me at the time was hours on end at the instrument.) I’m a completely different person now and my priorities have changed significantly. I think now is the time where I need to engage in some much-needed experimentation, rethink my work, and immerse myself in a slow motion process propelled by questioning. 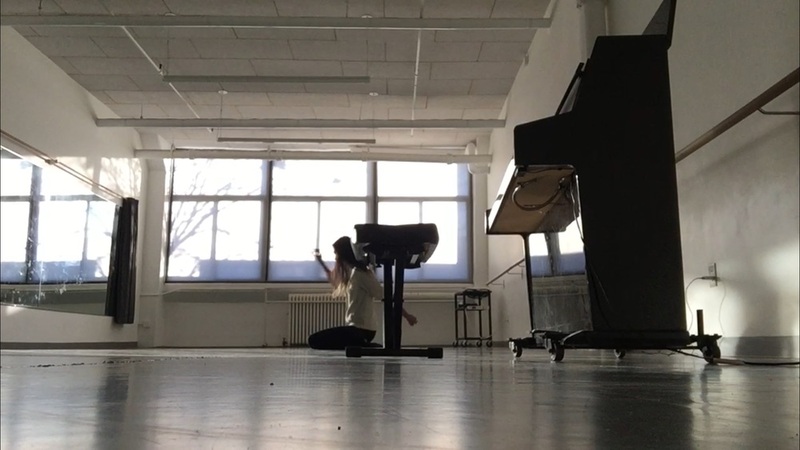 One of the projects I’m working on outside of the Fellowship is a multimedia piece with composer Trevor Gureckis and choreographer Coco Karol. It's going to involve music, movement, and projections. My stay at the A-Z West wagon station encampment in Joshua Tree was the impetus for the project so it will be incorporated into the piece. That's all I know right now. I’m purposely refraining from mapping it out too extensively at the beginning because I want to see how things unfold for a little while. Don’t get me wrong: it’ll get done and there will be a structure. After working the way I have for years this is inevitable. I just don’t know exactly what it is going to be at this moment in time, and for me, that means this project is off to a good start.